'Trump to choose Treasury's Malpass to lead World Bank' - SABC News - Breaking news, special reports, world, business, sport coverage of all South African current events. Africa's news leader. David Malpass, Under Secretary for International Affairs at the U.S. Department of the Treasury, gestures during the 2018 G20 Conference entitled "The G20 Agenda Under the Argentine Presidency", in Buenos Aires, Argentina, March 18, 2018. The Trump administration has notified World Bank shareholders that President Donald Trump intends to pick senior Treasury Department official David Malpass as the US nominee to lead the development lender, people familiar with the decision said on Monday. The nomination of Malpass would put a Trump loyalist and a sceptic of multilateral institutions in line to lead the world’s largest development lender. Politico, which first reported the decision, said it would be announced on Wednesday, citing unidentified administration officials. A White House spokesperson declined comment, and a spokesperson for the US Treasury did not respond to queries about the decision. A European diplomatic source said the Trump administration had notified several capitals of the Malpass nomination, adding that European shareholders of the bank were not likely to block it. Malpass or any other US nominee would still need to win approval from the World Bank’s 12-member executive board. While the United States controls the largest share of board voting power and has traditionally chosen the World Bank’s leader, challengers could emerge. If approved, Malpass, the US Treasury’s top diplomat as undersecretary for international affairs, would replace Jim Yong Kim in the role. Kim stepped down on February 1 to join private equity fund Global Infrastructure Partners, more than three years before his term ended, amid differences with the Trump administration over climate change and development resources. Over the past two years, Malpass has also pushed for the World Bank to halt lending to China, which he says is too wealthy for such aid, especially when Beijing has subjected some developing countries including Sri Lanka and Pakistan to crushing debt loads with its “Belt and Road” infrastructure development program. China is the World Bank’s third largest shareholder after Japan. 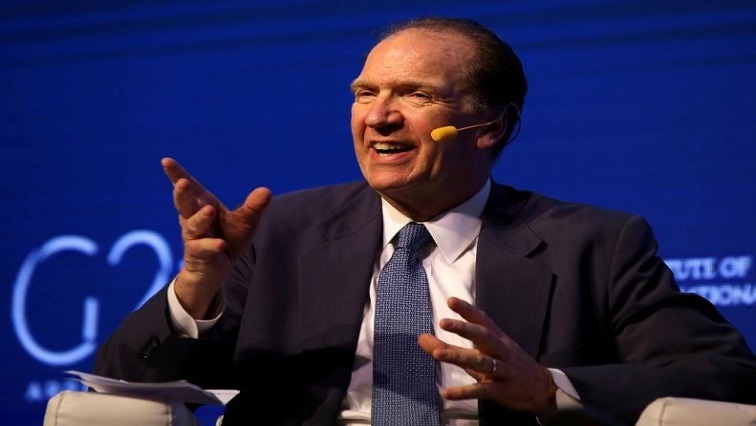 But last year, Malpass helped negotiate a package of World Bank lending reforms tied to a $13 billion capital increase that aimed to limit the bank’s lending and focus resources more on poorer countries. The reforms seek to “graduate” countries to private-sector lending and limit World Bank staff salary growth. Malpass, 62, was an economic adviser to Trump during his 2016 election campaign. He served as chief economist at Bear Stearns and Co prior to its 2008 collapse and served at the Treasury and State Departments under Presidents Ronald Reagan and George H.W Bush. This entry was posted on 05 Feb 2019,08:47AM at 8:47 AM and is filed under World, Homepage Featured Story Slider. You can follow any responses to this entry through the RSS 2.0 feed. Both comments and pings are currently closed.